My test machine was a mostly harmless Gateway P5-120, 16 bit soundcard, running Windows98. The HotRod joystick I tested with was a beta edition, but I do not expect there to be any significant changes between what I received and what ships. I will be purchasing a new computer in the next few days, and if there are any differences in how HotRod works with the new system I'll update this review. The first thought I had when I brought the HotRod into my computer room was "I need a bigger desk." The thing is big. In this picture, you can see that it dwarfs my computer and hangs over the edge of my desk. It's also heavy and by all appearances, durable. Built of 3/4" wood, I gave it a bit of a stress test to see if it creaked or looked like it would come apart - no worries there. The buttons, joysticks and construction all held up well as I abused ... er... tested it. You can see from this picture of the inside (is my warranty void? :) ) that it appears well made internally as well as externally. One feature I liked about the HotRod is that the surface is slanted down towards you, like an arcade machine. I'm not sure I'd have thought of that building my own. HotRod is being produced by Hanaho, a company who has made arcade cabinets for years (Frogger, Dragon's Lair to name two), so I'm expecting the quality of construction to continue to be top-notch. I tested the joystick using a variety of emulators with a variety of different games. The joystick worked flawlessly in all the emulators I tried (MAME, M72, Callus, Hive, Z26, and Retrocade). Previously I had reported some problems with Retrocade, but suspected it was due to my slow P5-120. Sure enough, my new system worked perfectly with the HotRod and Retrocade. I tried to test games that present problems with control normally. The first game I tried was Robotron. That took the first hour :). Using the left joystick to move, and the right to fire just like in the arcade, I found the game played great. I had not been able to play it at all with a keyboard. Movement up/down/left/right worked fine, and the diagonals were easy to use as well, both moving and firing. Next came Gyruss. Gyruss involves rotating the joystick around in a circle, which I figured would be a good test of its full range. It worked perfectly, as well as if not easier than my real Gyruss cabinet in the basement. Next? Next came DonkeyKong. I also own a real DonkeyKong cabinet. 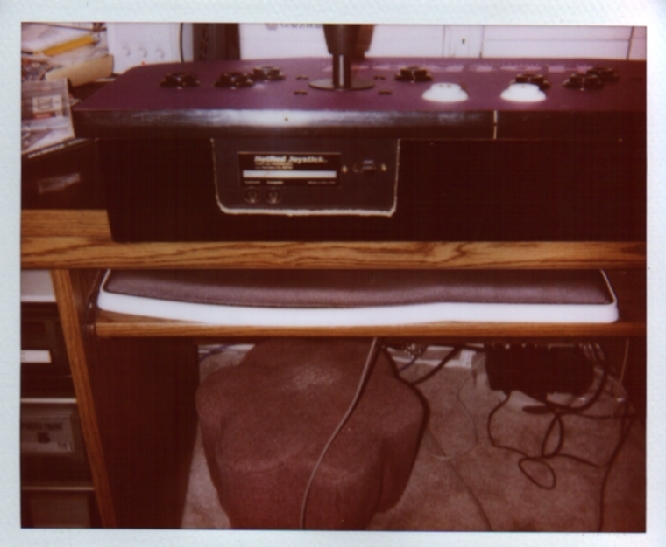 It has an 8-way joystick in it, and I have problems controlling it sometimes. I'll be standing by a ladder, and attempt to go up, but the joystick will be pointed actually somewhat diagonal, and Mario doesn't move. With the HotRod, I didn't have that problem. Mario did exactly what I tried to make him do. (I'll be putting a 4-way joystick in my real DonkeyKong soon) Next? My favorite game when growing up was an obscure game called JumpBug. It's a fairly straightforward game where you're a VW-bug type of car bouncing along buildings and inside pyramids, gathering items and shooting beasties. To jump, however, involved a subtle up and down motion on the joystick at the right time as you bounced - you could control whether it was a small or big bounce by the way you tapped the stick. On the keyboard, I found this difficult to do and gave up playing the game. On the HotRod, the game worked great - there went another hour of playing... er... testing. On to a spinner game. I find Tempest nearly impossible to play on a keyboard. Using the HotRod, and reversing the left/right within MAME, I found the game much easier to play. Before I considered it not playable - now I consider it fun-to-play. However, a joystick is no substitute for a real spinner. It worked, but wasn't quite the same. Qbert proved to be iffy, which you might expect. 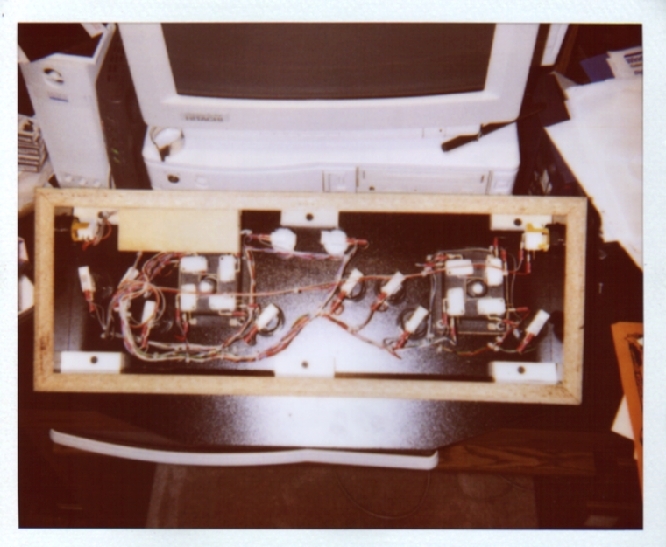 Qbert's joystick was diagonally mounted, and I have troubles controlling it either via keyboard or joystick. In this case it was a wash as to which was better. Joust was another one of those games requiring a good touch on the controls to position yourself right and avoid a facefull of lance. The HotRod performed like a champ here as well, letting me positiong myself above the beasties like I would in an arcade. The last game I tested with was JungleKing. JungleKing was another favorite growing up, and was fairly easy to control except for the water level. In the water level, if you didn't position yourself just right, you got eaten by the crocs as you tried to knife them. Using the keyboard, I could not easily (OK, ego be damned, usually not at all) get past the water level. With the HotRod, I zipped through the water level without problem. Had a request to test NeoRagex. NeoRagex worked great with one exception. The top right button for player one on the HotRod generates the ALT key. As far as I can tell, NeoRageX does not support use of the ALT key. That mean that I was able to map up/down/left/right, and buttons 1,2,3 but not a 4th for NeoGeo games. No problem for games that don't have this many buttons, problem if you do need a fourth. For single player you could use one of the other buttons on the joystick (all others worked that I found). Borg of HotRod has been notified. There really weren't any to speak of. I did run into one snag which was easily corrected. One button on the HotRod generates the ALT key - another generates the SPACE key. In Windows, in a DOS prompt, ALT-Space brings up the taskbar and GUI, interupting whatever you may be doing. This, of course, caused havoc in gameplay when I hit both keys at once. This is not a problem, however, as within the properties for any DOS prompt or DOS based game, you can tell it not to respond to the Windows key-combinations such as the ALT-Space. Once I did so I didn't have any ghosting or Windows key type of problems. 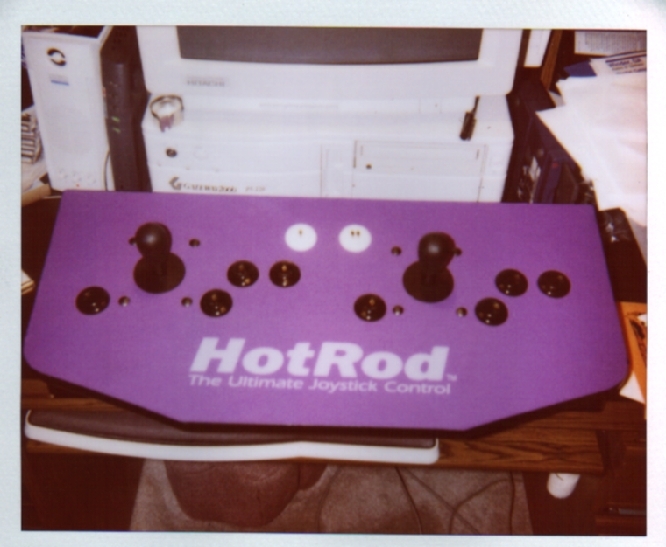 Finally, though the HotRod is a wonderful joystick, it can't do what it's not designed to do. Although it will run spinner and trackball based games better than a keyboard, I would love to see an option to include spinner and/or trackball on one of their products in the future. That will, however, most likely drive the price up. One thing a hard-core gamer will need to bear in mind - the keystrokes generated by the HotRod are hard-coded in their proprietary encoder. You cannot alter what is sent to the computer. This may be considered a strength or weakness depending on your needs. This simplicity makes the HotRod truly plug-and-play. In 5 seconds I plugged it in and was running games without a hitch. However, there are games out there that don't support the MAME keyboard standard and don't support remapping their controls. HotRod won't function with them obviously. Yet - of the six emulators I tried with all the games they play, every single one supported the MAME standard "out-of-the-box" or allowed reconfiguration to the MAME standard. I don't expect this to affect my gameplay at all, but if you have special needs you should bear this in mind. Overall, the HotRod took everything I threw at it and snickered asking if that was the worse I had. Very easy to hook up and use, no drivers or configuration to mess with. Playtesting was a joy, with perfect response in the up/down/left/right movements, and zero problem with diagonal movements. Fine control was easy as well, which surprised me a little bit as it's still a keyboard type of interface - you wouldn't know it from playing though. I had almost zero problems with the exceptions listed above, and those were easily resolved.